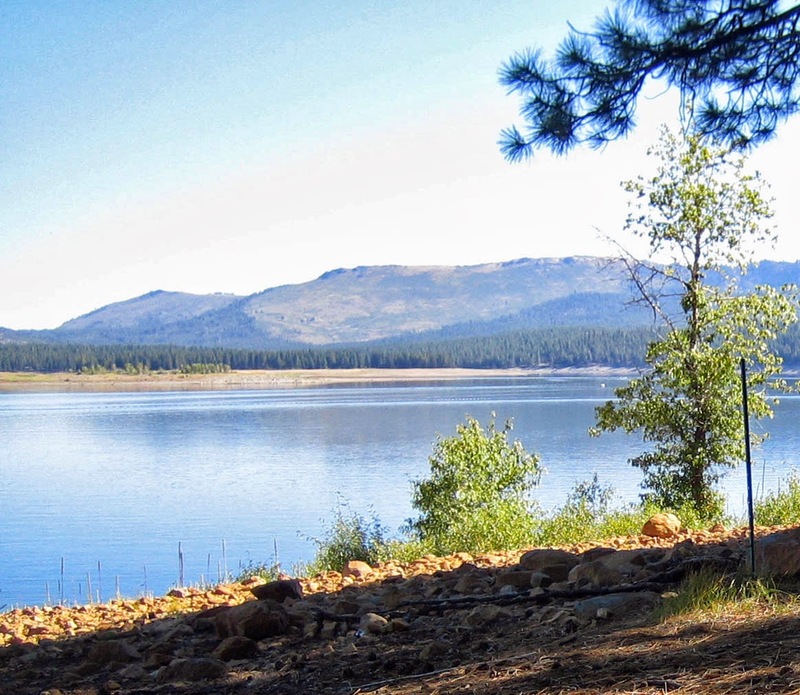 Anglers have been seeing and reporting dead fish at Stampede Reservoir for several weeks. A Warden from the Department of Fish and Wildlife checked for pollution and didn't find any. Fish and Wildlife biologist, Amber Rossi was called to the lake for further testing. According to the Modesto Bee, Rossi determined that oxygen levels in the lake are below survival limits for deep-water fish. At fifty feet down, it was 2.6 parts per million- half of what fish need to survive. The surface oxygen level was 3.6. The low oxygen levels appear to be caused by a massive algae bloom. The hardest hit fish species are kokanee and lake trout. Large-mouth bass, rainbow and brown trout have been less affected by the algae bloom. Colder weather and increased inflow should help alleviate the low oxygen levels. There have been no reports of fish die-offs at other lakes. Stampede Reservoir is a popular fishing and recreation lake 16 miles north of Truckee. 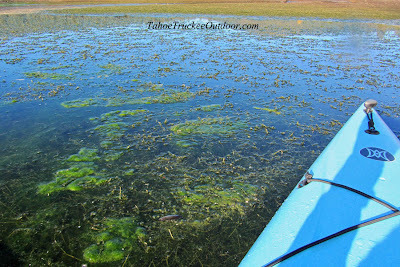 Algae bloom at Prosser Creek Reservoir, 10/3/2013.